Despite how far video games have come as a medium, there is still a coveted place in many gamer’s hearts for retro throwbacks. I know this is certainly the case with myself, and I see many others who feel the same. Those who like classic Final Fantasy, or prefer Mario in two dimensions and many other examples. Thus, whenever I find a new project set in a retro style accompanied by modern features, I get very excited. So when I heard Casual Bit Games was working on a love letter to Ghouls ‘N Ghosts but featuring gameplay quirks to make it more accessible, I was intrigued. When I found out the hero was actually a heroine, the aforementioned Madelyn, I was sold. 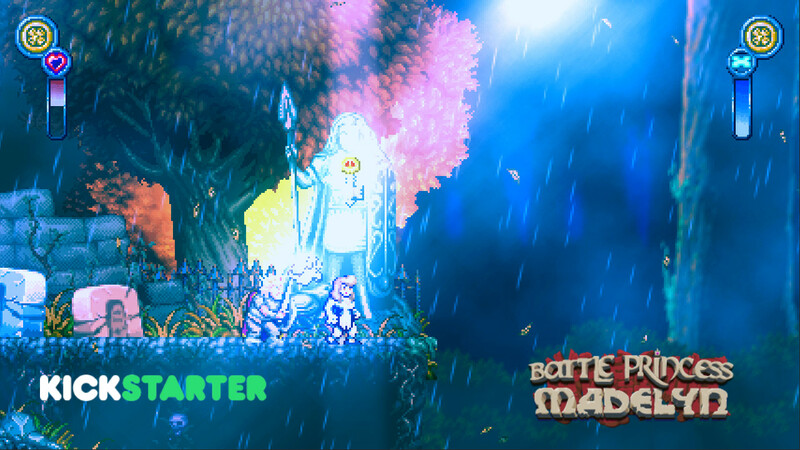 So now I intend to convert some more of you to give Battle Princess Madelyn a fighting chance. While it’s true we have covered both the Greenlight and Kickstarter announcement for Battle Princess, this will be a more in-depth look at the game, as well as discussing aspects of it which are very appealing. 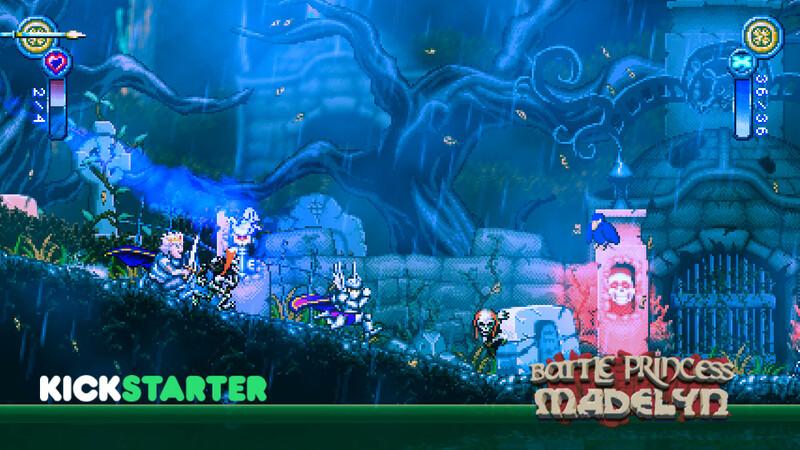 First of all, it’s no surprise that BPM is based off of Ghouls ‘N Ghosts, but it does things a little differently. It is slated to have a “self-adjusting difficulty”, so that gamers of all skill sets can enjoy it. Smart, especially considering the game was made in honor of one of the team’s own children. It also is being made so you can either breeze through it or spend your time and reap the rewards. It has elements of metroidvania exploration, even though it is structured into 10 levels which are then composed of several stages a piece. I also like how you can skip the story, for you speedrunners out there. 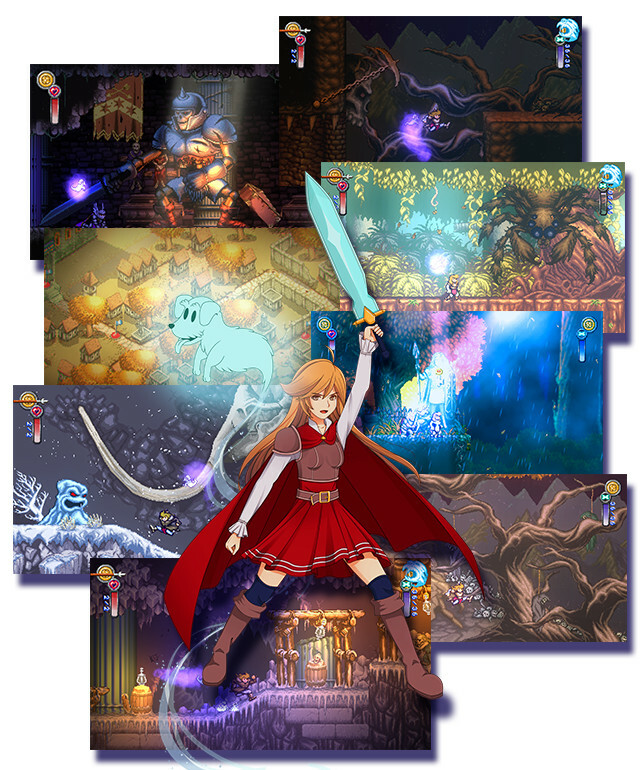 For myself though, I love a good story, so it’s nice to hear the plot of Battle Princess Madelyn is being handcrafted by a children’s book author! Another feature which sets this apart from the source material is the combo meter, which rewards you for juggling enemies. Like Ghouls ‘N Ghosts, it also provides a varied arsenal of weapons and armor upgrades. 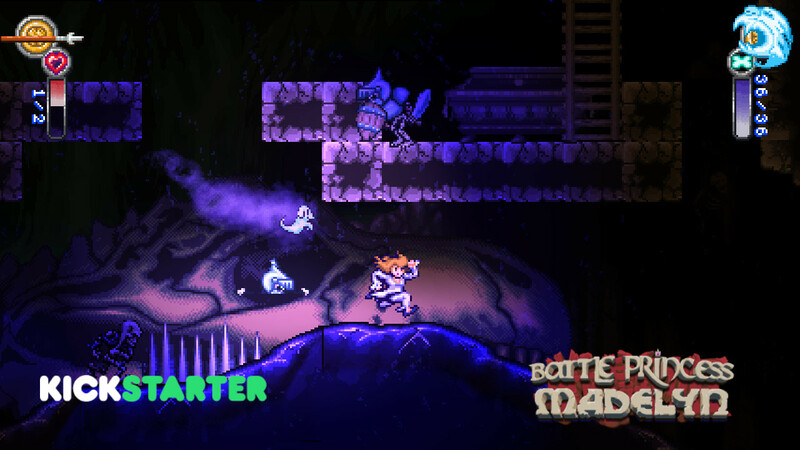 If that wasn’t enough, you also have a familiar of sorts in Madelyn’s ghostly pooch Fritzy, which serves as both an attack dog as well as unlocking secret areas and puzzles. Man’s best friend, indeed! Factor in tons of unique enemies, massive bosses and replayable levels, and it looks like BPM has a lot to offer (and that’s without going into detail about the musical options in the game). 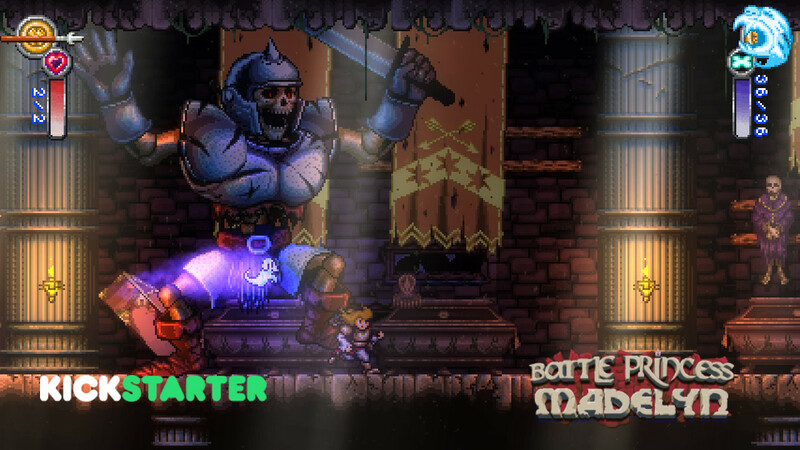 Perhaps most exciting of all is that, if Battle Princess Madelyn gets funded, it will be coming to every major console! Also, thanks to the involvement of Limited Run Games, BPM is getting physical versions of the game for PC and PS4. That’s pretty fantastic news, but it does require that the project gets funded first. The funding goal is set at $60,000 CAD or around $44,547. That’s relatively affordable, but you’re probably wanting to know what your money can get you. There are several tiers you can pledge at, but we’ll focus on providing a general idea of what’s available. Firstly, let’s go over the cheaper options. For $20 you get not only a Steam copy of BPM, but also Casual Bit Game’s first Kickstarter venture, Insanity’s Blade and in game credit; for $25, you also get a digital art book; $35 gets you a console copy of the game and $45 gets you digital soundtracks plus Steam early access. If you are feeling more generous, there are other options. $120 gets you a physical box of the game and soundtracks on disc, a T-shirt and PS4 physical copy; $180 gets you a cool little Madelyn plush, and $300 gets you an in-game appearance as a NPC. 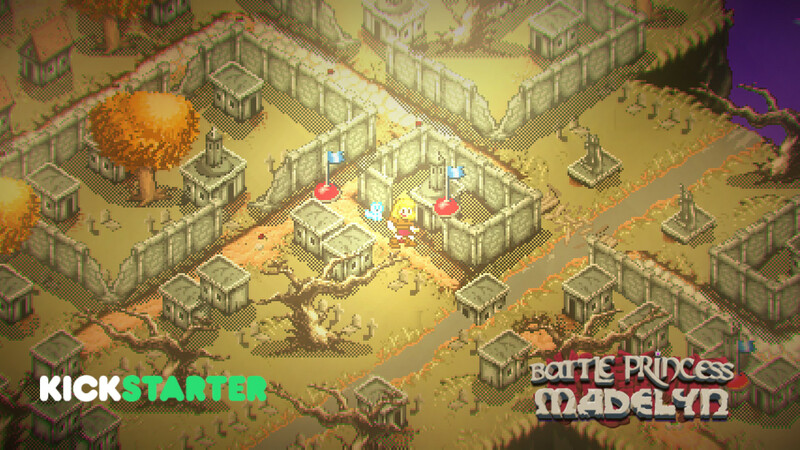 But if you feel truly generous, the highest tier you can pledge at is for $5,000, which lets you become a boss in the game, as well as all previous available awards. While it’s true they haven’t announced any Stretch Goals yet, I’m confident those might be announced as funding progresses. 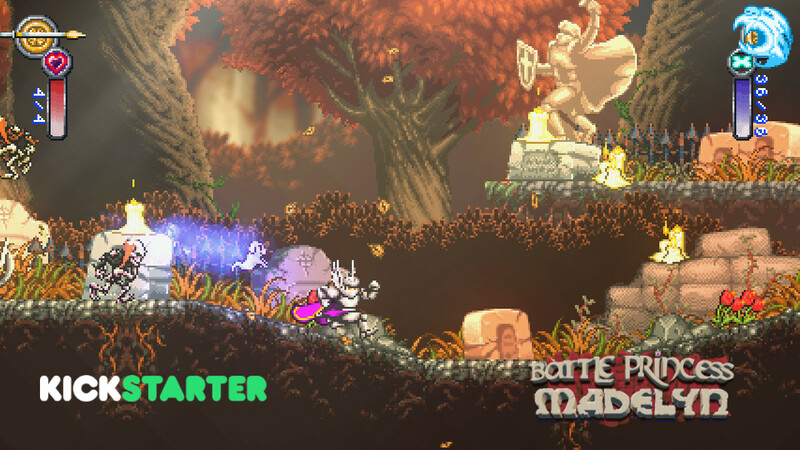 If you are a fan of retro like me, you owe it to yourself to check Battle Princess Madelyn out. You can even try the pre-alpha build out for yourself, or stay tuned for our coverage of it. Here’s hoping retro can triumph in the modern era once more with Madelyn!